For seven years, our Development Services division has provided services for CPP Investment Board. True North acts as fiduciary for billions of dollars invested in development programs in retail, office, industrial, and multi-family sectors across Canada, the United States and South America. We manage our client’s partner relationships, building creative project plans which incorporate strategic business case analysis to optimize value while minimizing risk within asset portfolios, thereby maximizing financial returns. We also guide and implement design and construction activities from the pre-development phase, through to construction, full commissioning and opening, for a variety of project types. CT Real Estate Investment Trust (CT REIT), is a closed end real estate trust formed to own income producing commercial properties primarily located in Canada. Its portfolio is comprised of over 300 properties totaling 22.9 million square feet of Gross Leaseable Area, consisting primarily of retail properties across Canada. 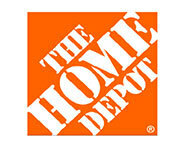 As one of Canada’s largest home improvement retailers with over 180 stores, Home Depot sought the services of True North to provide comprehensive development support services on projects across Ontario in order to ensure that their aggressive growth plans were realized. Our mandate includes site selection, contract negotiation & site acquisition, due diligence & pre-development work, resulting in the successful development and opening of stores. True North is responsible for over 75% of new store openings annually in Ontario. Extended Stay Hotels is a rapidly growing 760 unit hotel chain owned by the Blackstone Group and operates primarily in the United States. 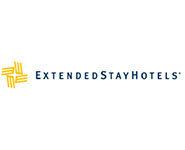 When Extended Stay decided to expand into Canada, they sought the services of True North to lead their Canadian growth strategy, both in the acquisition of existing operating hotels to re-brand, as well as new hotel development. From our Canadian base in Toronto, we perform a leadership role on the acquisition of real estate for Extended Stay. Our mandate includes market analysis & qualification with their Operations executives, market data collection & screening, contract negotiations, management of the due diligence process and overall management of the Canadian based consulting team to process and execute the development process site by site. We have played a leading role in the acquisition and re-branding of a number of hotels across Canada and continue to have an expanding role because of their recent acquisition of the La Quinta Hotel chain and the planned deployment in Canada. Walmart Canada engaged the services of True North to be its outsourced real estate manager to process select inventory of its new store pipeline. This mandates entailed True North implementing and executing the real estate process, including negotiating with landlords & sellers and training new staff. Working with senior internal real estate staff, we provided a sub-contract solution where we were mandated to ensure development objectives were realized while budgets and schedules were maintained. 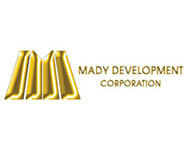 Mady Developments is a family owned & operated development company operating in southern Ontario. To assist in their growth as they transition to become a Toronto based developer, True North provides real estate management services in the creation of greenfield development projects. Our services include sourcing new sites, conducting feasibility analyses, and assisting with acquisition & due diligence activities. We also provide input regarding site plan space utilization and tenant layout to optimize project design. Our scope of services also includes coordinating tenant leasing activities, assisting with arranging project financing, preparing necessary development plans, pro-forma, budgets and schedules. Putting Edge is an entertainment innovator in the area of indoor glow-in-the-dark mini-golf. True North doubled the number of their retail units all across North America. Our responsibilities included directing all real estate activities related to leasing, legal, design, construction and manufacturing, as well as liaison with Operations and Marketing functions. Kimco Realty Corporation is a leading retail REIT specializing in the acquisition, development and management of neighborhood and community shopping centers. Kimco was formed in 1960 with a handshake between two friends and partners. Today, Kimco Realty is the United States’ largest publicly traded owner and operator of neighborhood and community shopping centers, with more than 1,519 properties comprising 180 million square feet of leasable space across 45 states, Puerto Rico, Canada, Mexico and Chile. Since going public in 1991, Kimco has become known for acquiring properties with below market rate leases, maintaining a strong balance sheet to always have access to capital to allow for continued growth, and perfecting an eye for leveraging opportunities. True North Group, in conjunction with its strategic relationship with Asesorandes, provides market analysis, site sourcing, due diligence and asset management services in support of Kimco’s Peru acquisition and development strategy. Alter Nrg Corp. is an innovative energy solutions company that produces energy using non-traditional feedstocks thereby creating sustainable energy for the future. Their vision is to become a North American leader in the development of innovative gasification projects for the commercial production of energy. The technology they deploy is through ownership of industry leading plasma gasification technology. It is designed to be environmentally conscious in the production of energy with reduced air emissions, including greenhouse gases, all based on an emerging market driven by social and economic factors. Alter Nrg has chosen True North to execute their first development in southern Ontario. We oversee the entire process, with our responsibilities covering site selection, land acquisition & contract management activities, due diligence & permitting and land use approval requirements, oversight of legal & other consultant activities, all to effectively execute Alter Nrg’s expansion strategy while protecting their corporate interests. Asesorandes is a Lima based consulting company specializing in highly sophisticated financial engineering with the capacity to fully develop a project, from its design stage to the final stage of execution. Asesorandes is made up of a team of professionals with broad technical, financial and banking experience both at the Peruvian national, as well as the international level. True North Group struck a strategic relationship with Asesorandes to bring a variety of international investment capital sources to the emerging Peruvian real estate market. In doing so, True North and Asesorandes provide market analysis, site sourcing, due diligence and asset management services in support of our growing international client base interested in real estate acquisitions and developments in Peru. ECL Developments Limited has recently entered the Ontario market with a mandate from their east coast headquarters to develop retail properties with a focus on neighbourhood centres. Given ECL’s desire to rapidly deploy their strategy they sought out True North to provide development support services that are based on local knowledge and experience. True North provided market analysis, site sourcing, contract negotiation and due diligence services in support of ECL’s strategy while simultaneously working to implement an internal project tracking and approval process for the pipeline of opportunities that had been identified. With True North’s assistance, ECL aims to become one of the most highly regarded retail development firms in Eastern Canada. 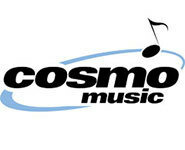 Cosmo Music is an industry leader in provision of music, from the sale of virtually any kind of instrument, to instrument lease & rental programs, to providers of music lessons. As their outsourced real estate & construction departments, True North provides real estate and project management services to create new 54,000 sf large format retail store in Richmond Hill. Our mandate includes identifying the new site, completing land transfer transaction, & managing design/build program. We oversee the construction process, including schedule and budget. We have also assisted with arranging project financing and disposing of redundant properties.